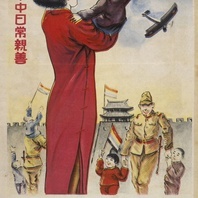 Poster encouraging worship at the Emperor Yao Temple (Yaodi shengmiao) in Linfen (Shanxi Province). 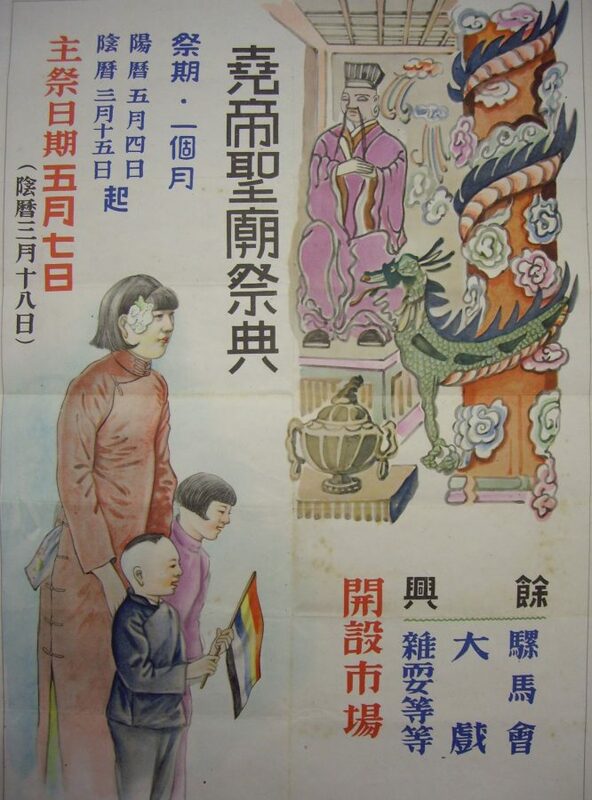 This poster was produced (almost certainly by the Japanese military) with the aim of advertising the re-opening of the Emperor Yao Temple (Yaodi shengmiao) in Linfen (Shanxi Province). This site was taken by the Japanese from communist resistance fighters, and was used by the Japanese as a symbol of the apparent iconoclasm and lack of religious sensitivity shown by the communists. The re-opening the temple to worshippers in the spring of 1938 by the Japanese was used to demonstrate the extent to which occupation supposedly included respect for Chinese religious traditions. 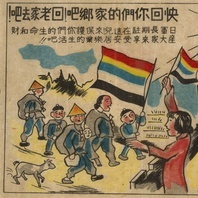 The painted image of the female worshipper here was based on a photograph of a female worshipper at the same temple produced in other propaganda leaflets some months earlier.